These days we have been into Greek Yogurt a lot. Vj loves the flavored Chobani Greek Yogurt, he never complained about plain Greek Yogurt as well. Greek Yogurt is little thicker and tarter than regular Yogurt. Our Indian curd also in similar texture, we didn't find Greek Yogurt much different than our regular curd. I always have Avocado in my fridge, I use avocado regularly in my sandwiches or to make fresh Guacamole or serve as it is along with Breakfast. 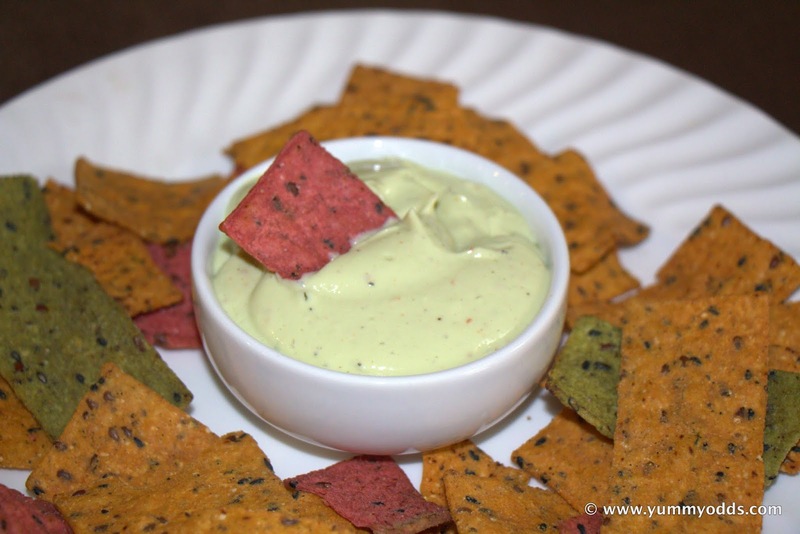 Today with this creamy Avocado Dip recipe, Greek Yogurt won my kids hearts too. 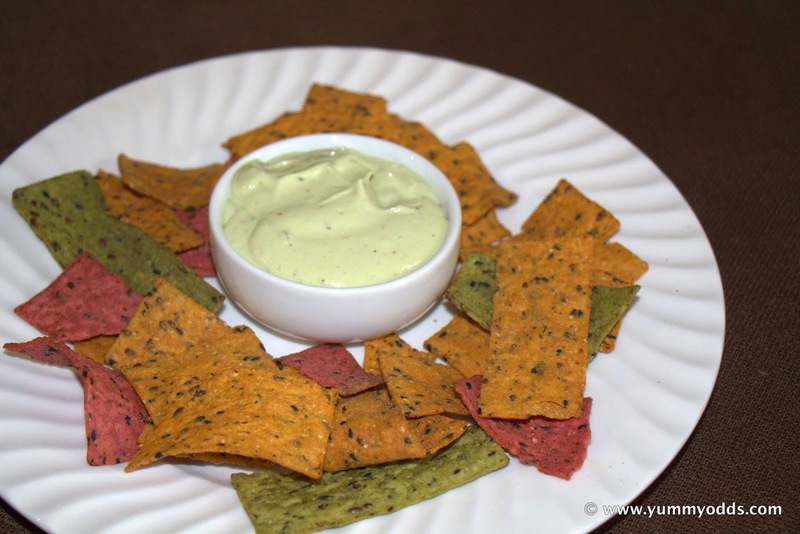 In order to replace Cream Cheese Spreads or Sour Cream Dips or Ranch, I was looking for healthy alternative recipes, this one is the best on the list. This dip is very creamy with right amount of spices and tastes good with fresh veggie cutup or for Chips or for spicy wings. Garlic and Cilantro gives very nice unique flavor to this dip, that makes you addictive to this quickly! Go on... and Indulge, No Boundaries for this dip, because it is made with wholesome awesome healthy ingredients! Here is the recipe..! Blend all the ingredients in food processor or small mixie jar until it becomes into smooth paste. You can add 1 Tbsp of water in between, if it becomes too thick. Transfer this into bowl and serve with Tortilla Chips or fresh Veggies.